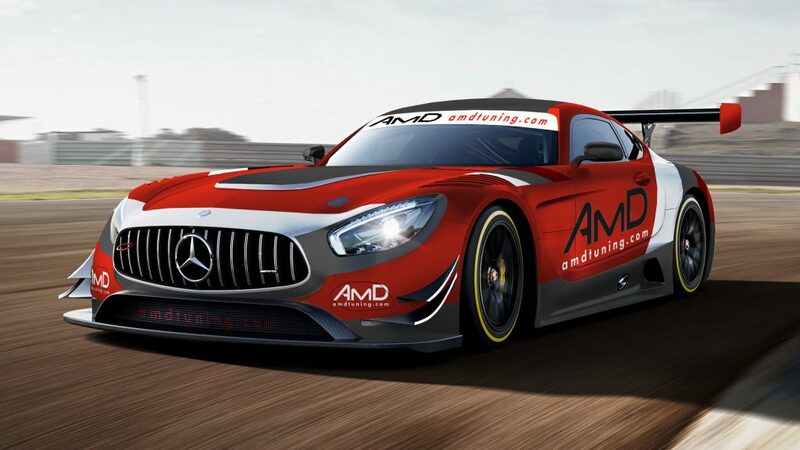 AmDTuning.com can today announce that it will run a dual sportscar campaign for the 2017 season with programmes in both the Michelin Le Mans Cup and the British GT Championship. The West Thurrock-based team will field a brand new 2017-spec Mercedes-AMG GT3 for what will be its third season of sportscar competition, and first running a European programme. The six round Michelin Le Mans Cup will see the team compete at some of the top circuits on the continent, with five meetings – at Monza, the Red Bull Ring, Paul Ricard, Spa-Francorchamps and Portimao – running alongside the European Le Mans Series. The other event on the schedule, in mid-June, will see the team racing for the first time at the iconic Le Mans circuit in France as part of the support package for the famous 24 Hours of Le Mans. Drivers for the Michelin Le Mans Cup programme are confirmed as Lee Mowle and Phil Keen, who will team together for the full six race campaign. Lee will continue to race for the team for a second season having completed in AmDTuning.com’s BMW Z4 GT3 last year, whilst Phil joins the team on the back of a successful 2016 campaign that saw him finish as runner-up in the British series and also in the International GT Open. Phil replaces Lee’s long-time driving partner Joe Osborne, with clashing commitments elsewhere preventing him from extending their relationship into a fifth season. Alongside the European programme, the team will also run a single Mercedes-AMG GT3 in the British GT Championship; making it one of the first teams to run the German machine in the series for a full campaign. Talks with potential drivers for the British programme are ongoing, with an announcement to be made in due course. The team is scheduled to take delivery of the new Mercedes-AMG GT3 in early January ahead of a planned pre-season testing programme. “Having enjoyed our first season of GT3 competition this year, it was always our intention to secure a ‘latest generation’ car for 2017 and we are delighted to confirm that we will be running the Mercedes-AMG GT3 next season. The car is a proven winner on track having taken the Blancpain GT Series Sprint Cup title and victory in the Nurburgring 24 Hours, and we’re confident that it is the right car to carry us to success. “The opportunity to run a European programme, and of course to compete at the famous Le Mans circuit, is something we are particularly looking forward to, and in Lee and Phil, we have a strong driver line-up who are more than capable of challenging at the front of the field. Lee has proven himself amongst the best ‘Am’ drivers in recent years and Phil is someone who has impressed in everything he has driven, so I’m confident that they will form a strong partnership to help push us forwards. “Although I have raced in Europe before, I feel in a much better position to make the step into a full European programme next season and think the Michelin Le Mans Cup is the perfect series. There are some fantastic circuits on the calendar without even considering Le Mans, which is the ultimate track for anyone who wants to compete in sportscars. “Last season was a tough one for myself and the team with the older BMW, but I feel that we did a phenomenal job with the package we had and I’m excited about the chance to get behind the wheel of a latest generation GT3 car for the first time. Last year, we were able to see how the new GT3 cars performed at close quarters, and in the Mercedes-AMG GT3, I feel we have chosen a car that is not only the best looking car out there at the moment, but also one that ticks all the boxes when it comes to what we are looking for as a team. There is fantastic support from the factory and it is a car that has already shown what it can do on track this year. Image credit to Tim Holmes.